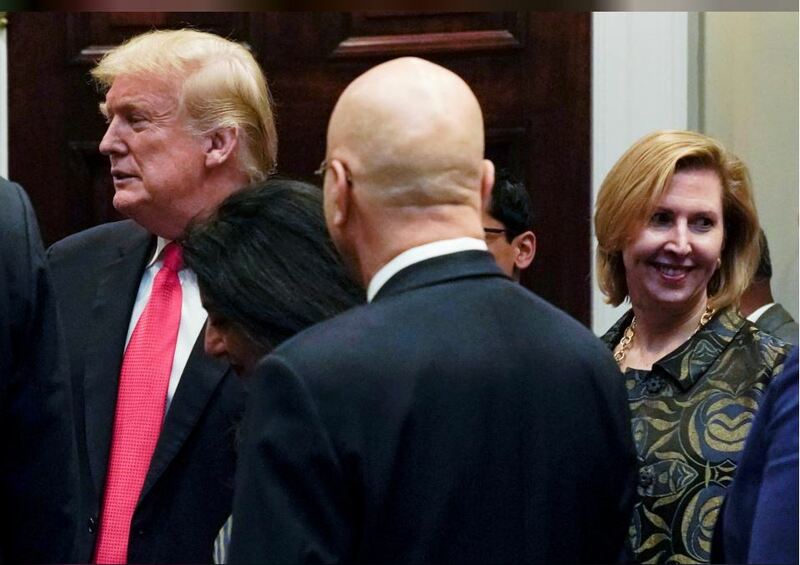 WASHINGTON (Reuters) – Forced out of the White House in a feud with first lady Melania Trump, Mira Ricardel on Friday expressed admiration for U.S. President Donald Trump and his wife as a tumultuous week ended for the former deputy national security adviser. Ricardel ran afoul of the first lady in negotiations over government resources for use in Mrs. Trump’s trip to Africa in October. She was forced to resign on Wednesday after a showdown with Mrs. Trump and her staff. “I admire the President and First Lady and have great respect for my colleagues who are dedicated to supporting the president’s policies, and I look forward to working with them in the months ahead,” she said. Bolton sent an email to the staff of the National Security Council on Thursday saying he was grateful to Ricardel “and her unwavering commitment to the president,” according to a senior NSC official.